Get ready, it's a bit of a long one. 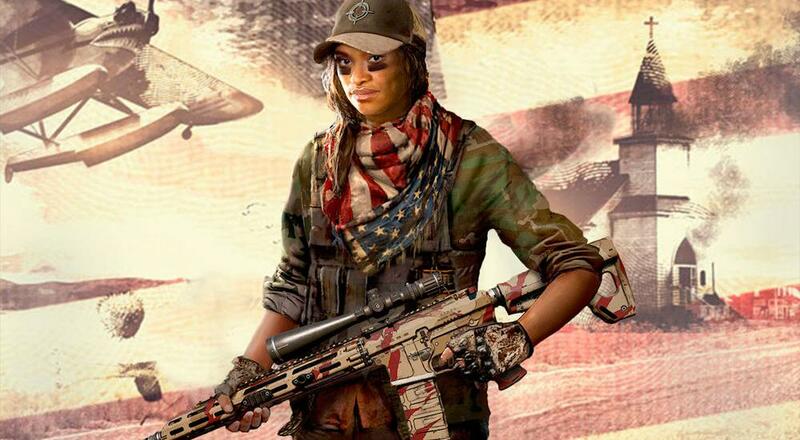 Look, for most people reading this article, Far Cry 5 will largely be a two-player experience. You'll be spending a majority of your time with an online pal wreaking havoc on rural Montana, but what's a freedom fighter to do when their partner of choice isn't available? Easy - call up your friendly neighborhood AI. I'm certainly hoping I won't be calling on my artificial allies too often, but to be fair, they seem like they'd be a solid addition in a pinch. Who wouldn't want a dang woodland ninja firing arrows at anyone who looks at you the wrong way? Far Cry 5 is still (a despairingly long) six weeks away, but at least we have the ol' PR Cycle to keep us company in the meantime. At this point, I'm probably going to have a deeper affection for the game's side characters than the protagonist by the time it's actually released. Oh well, maybe that will make me a tad more protective of them. Page created in 0.2795 seconds.